Google's Smart headphones may be getting additional features that will comprise of custom gesture controls according to a review of code in its latest Google app Beta condition, according to 9to5Google. There are latent new features for double tapping on the right earbud (which posseses a touch sensor), new features for triple tapping and also a new in-ear detection feature which can pause your music when the right earbud is removed. As of now, double tapping the right earbud enables you to get notifications, or stop Google Assistant. The code also uncovers a conceivable new alternative to tweak the gesture to skip songs — an useful feature that is frustratingly absent. Triple tapping would enable users to turn the earbuds on and off manually, which would be so useful, given that there is no real way to turn it off until it's put back into the case. Also indicated by the code, the in-ear discovery mode puts the earbuds into sleep when the privilege earbud is evacuated, and wakes them again when you put it back. The code emulates Apple's AirPods which as of now have adaptable taps and programmed ear discovery. 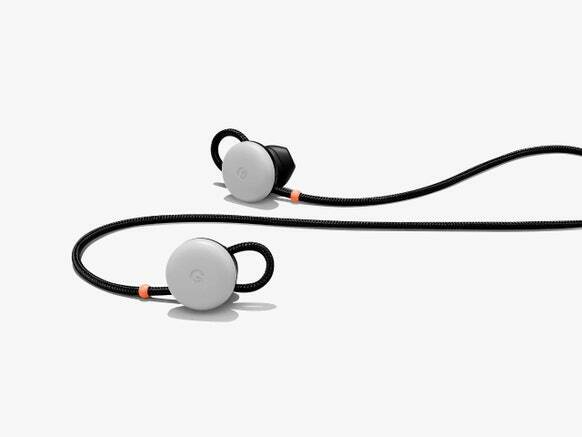 The Pixel Buds currently also allows users to answer and reject calls, control volume,activate Google Assistant and also control audio playbacks using different gestures. There's no signal of when or if these new features will be accessible, as the code is still in beta and may be pulled before the following application release.